This is the 2nd part of a set of three powerpoints. 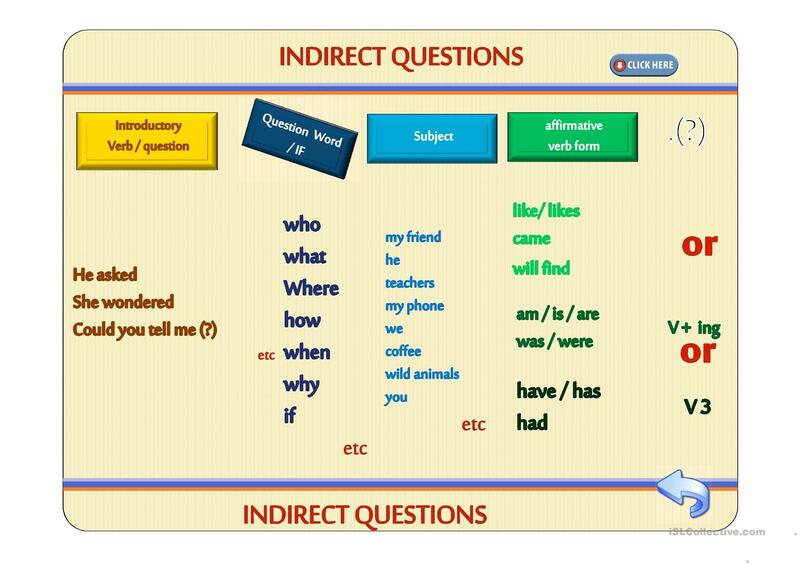 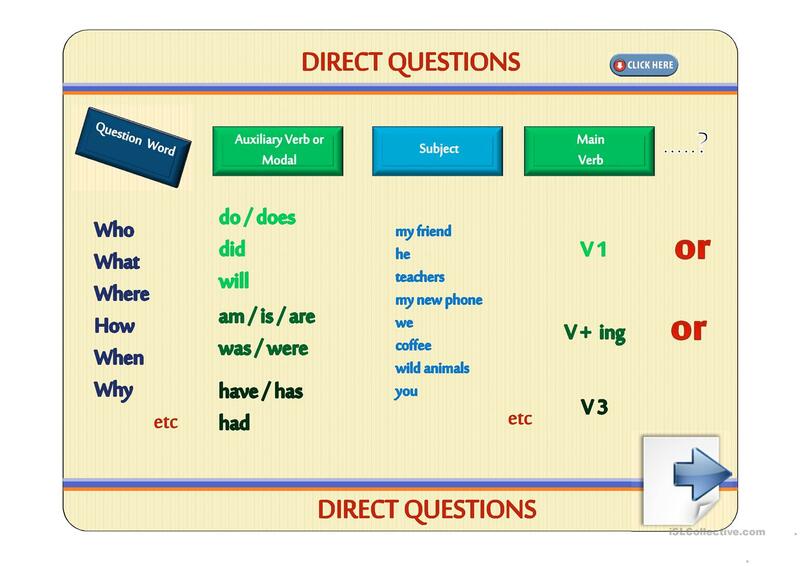 It focuses on reported questions by first revising indirect (police) questions and then applying the tense rules for reported speech. 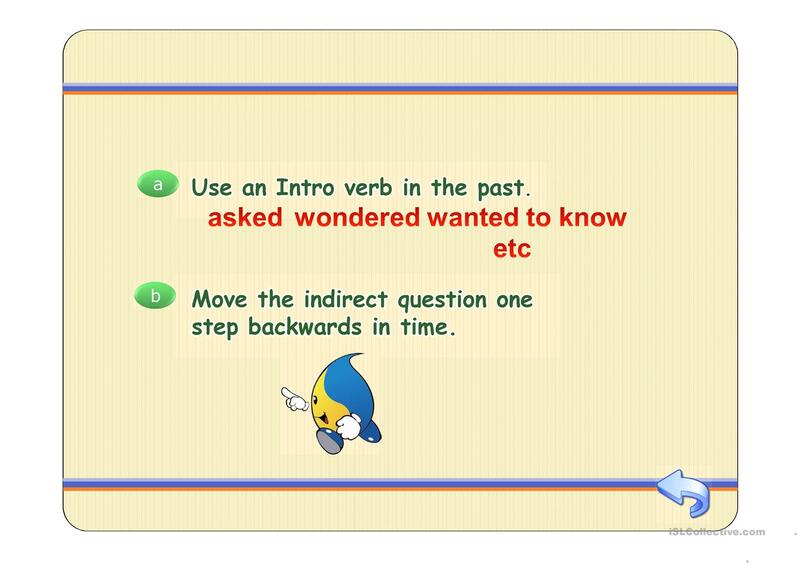 Grammar and practice in the form of a game. This downloadable handout is best suited for high school students at Intermediate (B1) level. 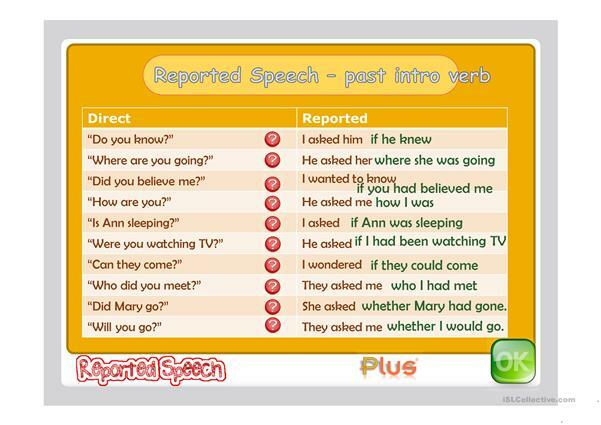 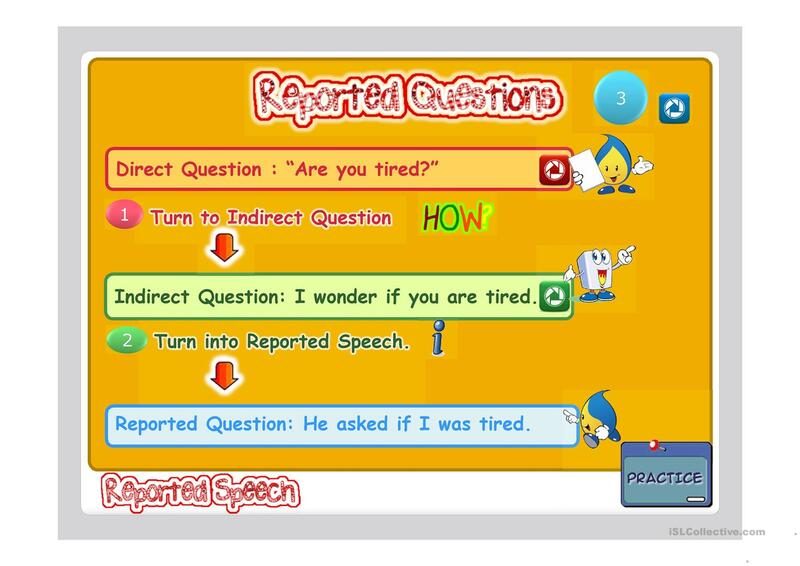 It is a useful material for practising Reported Speech (Indirect speech) in English. You will find the answers at the end of the worksheet. 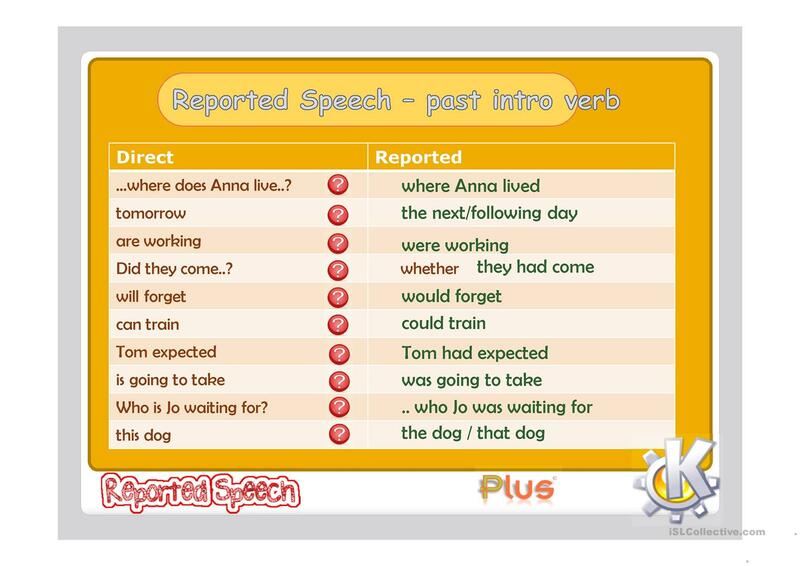 pollyanna is from/lives in Greece and has been a member of iSLCollective since 2010-05-18 07:10:38. pollyanna last logged in on 2018-03-22 07:49:24, and has shared 5 resources on iSLCollective so far.